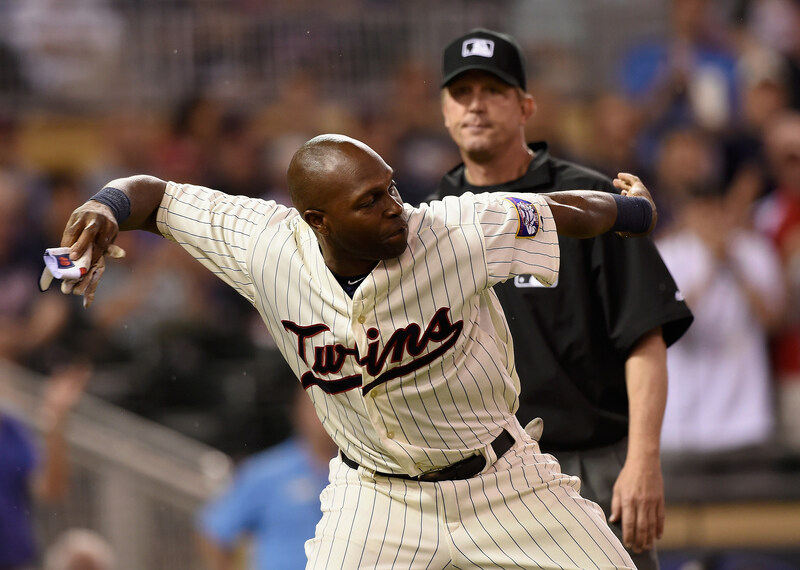 Minnesota Twins player Torii Hunter was thrown out of the game Wednesday night after arguing a third strike with the umpire. He went full on yard sale throwing his elbow pad, shin guard, batting gloves, and jersey. "We have bad days, all of us, as hitters, pitchers," Hunter said. 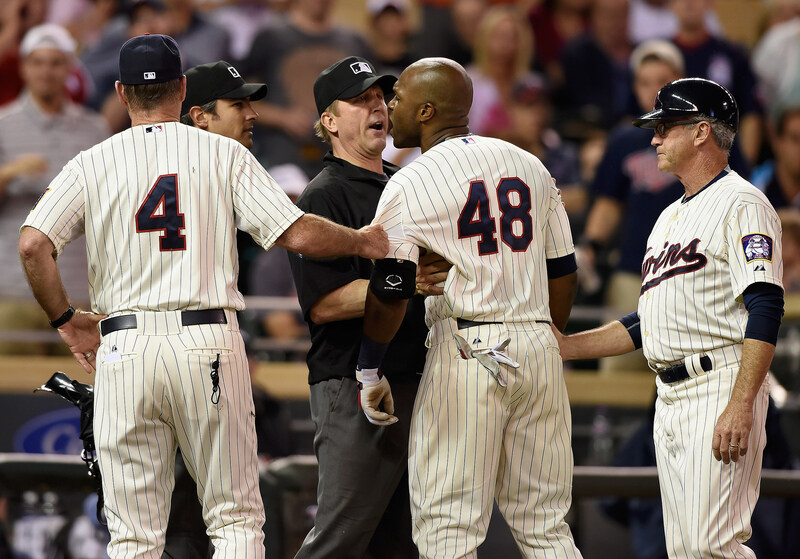 "Even umpires have bad days, and he had one."